This fillet knife blends innovative design with quality materials for exceptional performance. 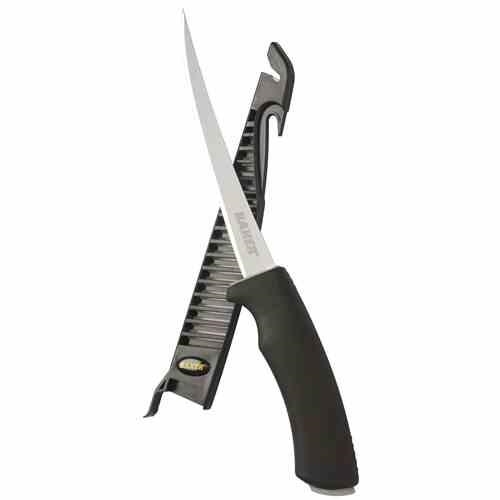 The 6″ blade ensures a durable, long-lasting cutting edge. Its progressive, double-taper blade combines the strength needed for cutting through bone and tough skin with a flexible tip for delicate filleting. The comfort-grip handle features a finger guard for added protection against slippage, even when the handle is wet.